Nicole Kidman is regarded one of the most stylish and elegant women in Hollywood. But at the beginning of her career she looked differently. Her style was changing during the years of her successful acting career. In this article we are to review the most prominent looks of this dragon lady. Nicole Kidman was born in Honolulu but she considers her motherhood to be Australia. In childhood her family moved to Sidney and they lived there for a long time. Her parents taught Nicole and her sister to be strong-minded and act decisively according to one’s own persuasion. At the age of thirteen she didn’t like her height and her wavy hair. She was constantly offered various roles and soon in Australia she became famous. After her filming in the movie Dead Calm various film directors from Hollywood noticed Nicole and in such a way started her acting career in Hollywood. Nicole was funny and beautiful girl with red wavy hair. She met and fall in love with one of the most handsome man of the planet Tom Cruise. Later they got married. 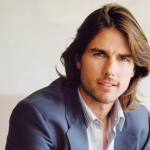 At some time in her interviews Nicole confessed that during the years of living together with Tom Cruise she stayed in the background of his fame. Her style during 90th could be explained by this fact. In 1997 at the ceremony of Academy Awards she appeared in an elegant citreous dress by Christian Dior. The designer of this dress was Juan Galliano. It was a long dress decorated with flowers and accentuated her slim figure. Actress complemented her look with earrings, bracelet and elegant handbag. In 2012 during the first run of the film The Paperboy, Nicole was seen in an intense red dress, which was created especially for the actress by a famous creative director Lanvin Alber Elbaz. It was a floor-length dress with cutaway shoulders. She complemented her look with the help of brilliant earrings by Cartier. In 2001 especially for the first run of universally acclaimed music Moulin Rouge Nicole Kidman had chosen black dress decorated by Tom Ford. Her hair style was also uncommon for the actress; she straightened her wavy hair. It was a first event she appeared without her husband Tom Cruise. They divorced. In 2003, presenting the movie Dogville a famous actress appeared in a scarlet long dress by Pucci. This dress fitted her figure greatly and made her more elegant. It was decorated with floristic print. Elegancy is a way of life for Nicole Kidman. She tries to correspond it even if she is far away from red carpets and parties. An outing at the seaside, having breakfast or the way from airport, for all these occasions Kidman prefers simple and at the same time elegant looks. It is impossible to see this actress in a look that doesn’t correspond to her status of Hollywood celebrity.